Every year, The Lifewise Big Sleepout sets out to raise funds to tackle the serious issue of homelessness in Auckland. Many lives have been and will continue to be turned around as a result of this event. 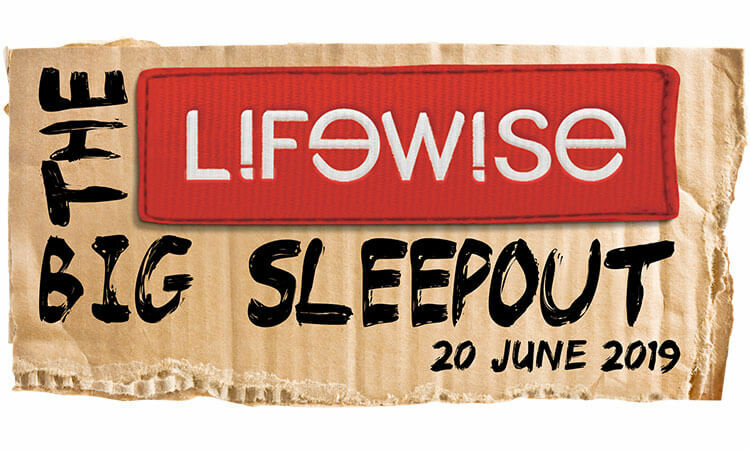 The 2019 Lifewise Big Sleepout will take place on New Zealand’s iconic Eden Park, on one of the coldest, longest nights of winter – Thursday 20th June, 2019. The event will see businesses, entrepreneurs and community leaders coming together to raise funds that will go towards Lifewise’s work for ending homelessness. “People need to understand that homelessness is a symptom of a number of social issues that we deal with day to day. Across Lifewise we are working with elderly isolation, broken homes and foster care, addiction and youth homelessness, all connected to the growing number of people finding themselves on the streets,” says Chief Executive of Lifewise, Moira Lawler. Eden Park Chief Executive Officer Nick Sautner says the Park is a whare for all and the stadium remains ready to be utilised for the benefit of local and wider society. In its 9th year, The Big Sleepout has funded some of Lifewise’s most innovative work including social enterprise Merge Café on Karangahape Rd, our intensive In-Home Parenting Support and the Housing First programme. A key partner in the Housing First Auckland City Centre program, Lifewise currently works with rough sleepers in the city centre who are known to their services and who have been chronically homeless for several years. Working with the Auckland City Mission they have currently housed 92 people. Funds raised in 2019’s event will contribute to Lifewise’s focus on wider preventative work and how to break the cycles that so often lead to homelessness. This is a vital conversation if New Zealand is to cope with a growing number of people experiencing homelessness. “We’re moving in the right direction, however, for many of the people we work with, a home is only one step in their journey. Being able to support tenants with personalised wrap-around services helps them sustain their tenancies, address health needs, and to achieve their goals,” says Lawler.